Want to leave the city behind? Then Rock the Shack will give you the inspiration you need to build your own beautiful cabin in the mountains, by the sea or in the forest! Most of us outdoor folks dream about a cabin in the middle of nowhere. A place where we can go for a walk right from the door sill. Where the only noise is the wind blowing through the trees and the birds singing. Where you chop wood to fire your stove. A sauna by the lake. Wide views across mountains and forests. 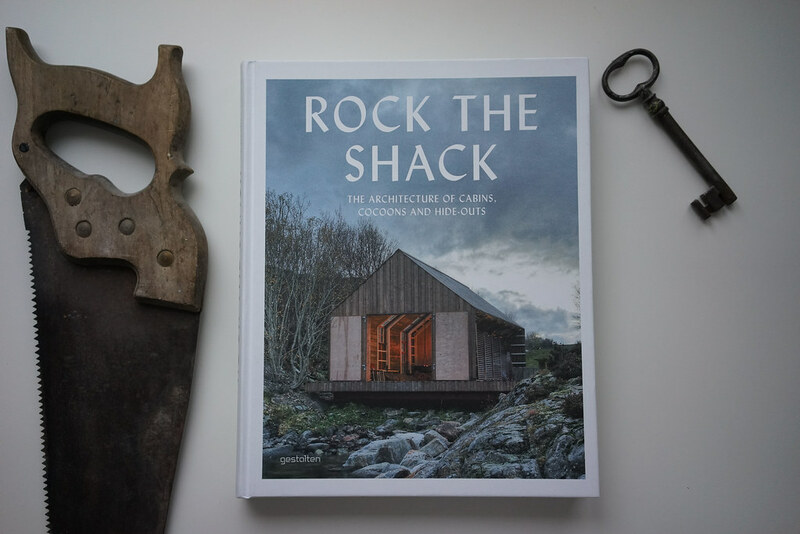 Rock The Shack is a dangerous book for those who long to be closer to nature, living in their own cabin. Showcasing on 240 pages “shacks”, which range from self-sufficient sheds in the hills to luxurious hide-outs at the coast. There are wooden constructions, packed clay huts to combinations of brick, steel and glass. The forms range from organic leaf-like structures and cocoons to rather futuristic expressions of a shed. 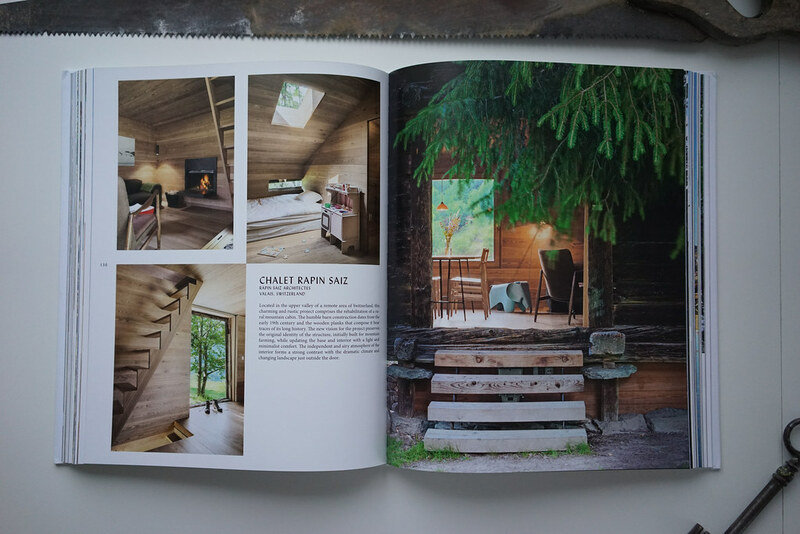 The book takes you on a journey across the globe and shows the most inspiring cabins, from Japan over Chile and the USA to Sweden, Finland and Norway. As diverse the locations and cabins are, so similar are they in what they portrait: A place for people to be away from the city and in nature. A place where you can relax, meditate, be with your family and friends or just by yourself. Where the next hike, climb or swim is just a few steps away. Not just architects and designers will find this book superb, also outdoor folks that are looking for ideas for their own shed. It has given me plenty of ideas for our garden shed, and further inflamed the desire to have a cabin out in the forest by a lake. It’s a beautiful book that helps you dream of your own little space, and is perfect to escape to when you need to relax for a few moments. Have it next to you on your work desk for those long office days. It definitely will be a conversation starter, but I’m not sure if it will get you a raise - although, who knows, maybe your boss dreams about a shed in the mountains, too? You can order it directly from Gestalten or from Amazon.de and Amazon.co.uk.